In 1976, my husband’s grandparents solved one of the world’s great natural mysteries: the monarch butterfly migration. Four decades later, we retraced their journey. We stood transfixed on a mountainside near the Michoacán-Mexico state border, gazing up at thousands and thousands of monarch butterflies, a fiery ensemble rising into the afternoon sun. The valley below seemed to quiver with life, every branch of every tree carpeted with orange wings. These extraordinary creatures had migrated nearly 5,000 kilometres from across Canada and the United States to congregate here, in a cluster of forested volcanic peaks in central Mexico. They’d survived storms, pesticides and predation to reach their overwintering grounds and would soon begin their multi-generational migration north — a journey their great-grandchildren would complete. My husband Robin and I had sailed to Mexico in our 35-foot sailboat, and like the butterflies, we were following ancestral lines. 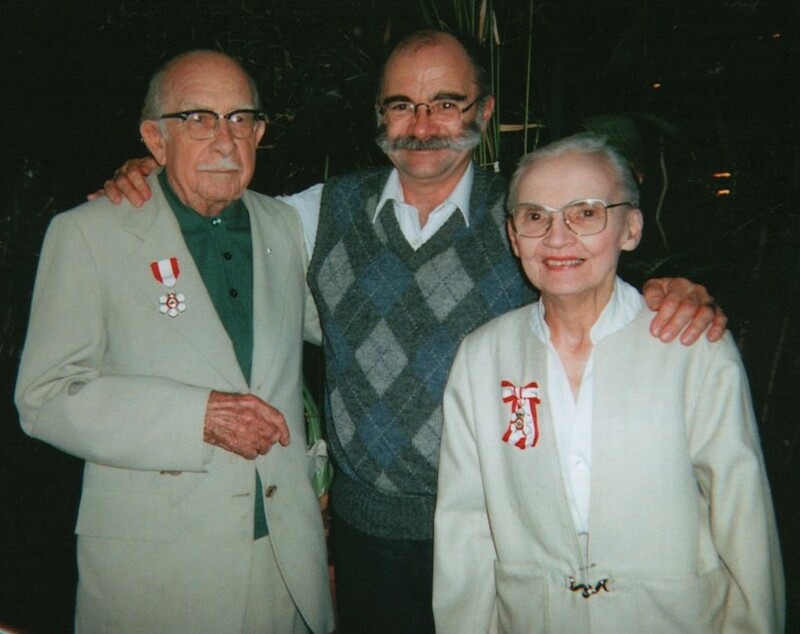 In 1988, Robin’s grandparents, Canadian zoologist Fred Urquhart and his wife Norah, were awarded the Order of Canada for solving one of the world’s great natural mysteries. Wondering where the monarch butterflies went during the winter months, they tracked the insects’ migration from their backyard garden in Scarborough, Ont. to central Mexico. In 1976, after 40 years of searching, they climbed to the summit of Cerro Pelón, a mountain in the Trans-Mexican Volcanic Belt, along with a National Geographic photographer, where they encountered the same spectacle that we now gazed at in wonderment. Despite having fewer than 500 nautical miles of sailing experience between us, Robin and I had decided to make our own southbound migration and visit the site of Fred and Norah’s discovery. Our sailboat, MonArk, a 1979 Dufour 35, had been our home for the past two years and while she floated, she was far from seaworthy. We spent that summer plastered in a mixture of sweat and fibreglass in a boatyard, stripping her down to bones and replacing the deck, rigging, and electronics. We set sail from Ucluelet, on the west coast of Vancouver Island, in September and hit our first spate of bad weather only four days in. MonArk shuddered as 20-foot waves pounded her starboard quarter. Our only thought was of keeping her upright as we corkscrewed in the 30-knot winds. We were two days from land; all ports of refuge were closed. The thought that a single mistake, like an unclipped harness, could wash either of us into watery black oblivion was terrifying. After two days of misery, we pulled into Eureka, California with our engine spewing oil, a battered sail, and bruised egos. Humbled, we went about our repairs, trying to ignore the cooling air, an ominous harbinger of the Arctic lows that would soon begin their relentless march down the coast. It was hard to believe that just a few hundred kilometres south of us, tens of thousands of tiny butterflies from west of the Rocky Mountains were now congregating in Pismo Beach, California, having completed their shorter but no less hazardous migration. Weather, it turns out, also presented Norah and Fred with a challenge. One of their first problems was to find a tag suitable for a featherweight insect that would neither impede its ability to fly nor be washed off by rain. After many years of experimentation, they found a solution: labels coated with pressure-sensitive adhesive. 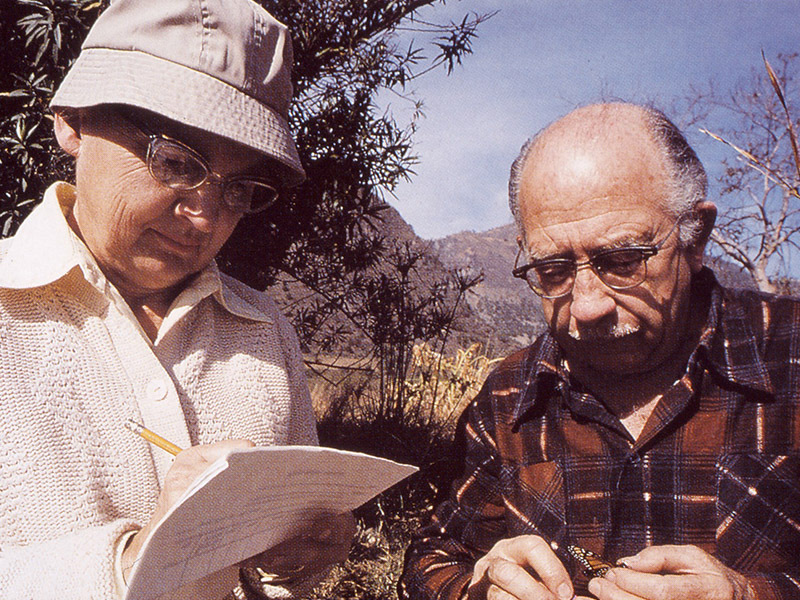 Having found the right label, Norah and Fred began to look for volunteers to assist with tagging butterflies. When their project began in 1952, it was with just 12 volunteers, but by the time of the discovery in 1976, thousands more people across North America had taken part. Each label bore a unique number and a message: “Send to Zoology University Toronto Canada.” As sightings were reported, Fred and Norah would push pins into a large map in their red-brick Scarborough home, each pin marking the last known location of a tagged butterfly. With each new report, excitement grew. Amongst other things, they learned that a butterfly could travel more than 100 kilometres a day. Over time, a pattern emerged on the map: a roughly northeast to southwest migration across the midwestern United States, through Texas and into Mexico. After making repairs to the boat, we sailed southeast, hugging the coastline. The steep sea cliffs and towering redwoods of California’s Lost Coast were replaced by imposing volcanic plugs rising above the turquoise waters of the Pacific. As the weather improved, so did our spirits. We had just arrived at our first port of call in Mexico and were celebrating when we learned that Robin's father (Fred and Norah’s son) Doug had suddenly passed away from a heart attack at the age of 68. It was a shock. Doug had always been vigorously active, with an inexhaustible energy that fuelled adventures from dog-sledding in the northern wilderness to paddling an outrigger canoe around Fiji. Just days before his death, he’d been biking through the Sonoran desert. He was also relatively young. The idea that something as small as a dislodged fragment of plaque could topple such a force of nature seemed cruel and incongruent. Stunned, we flew to be with family in the weeks that followed. Fred’s reverie was broken when a butterfly-laden branch suddenly snapped and fell to the ground. As he stooped to inspect the branch, he spotted, there amidst the quivering orange mass, a white tag. Here was butterfly “PS 397,” tagged by two young boys and their teacher in Chaska, Minnesota. This was enormously lucky. In the year that had passed since the discovery of the grove, Catalina and Ken had tirelessly scoured the hills for a tagged monarch, but their efforts had proved fruitless. 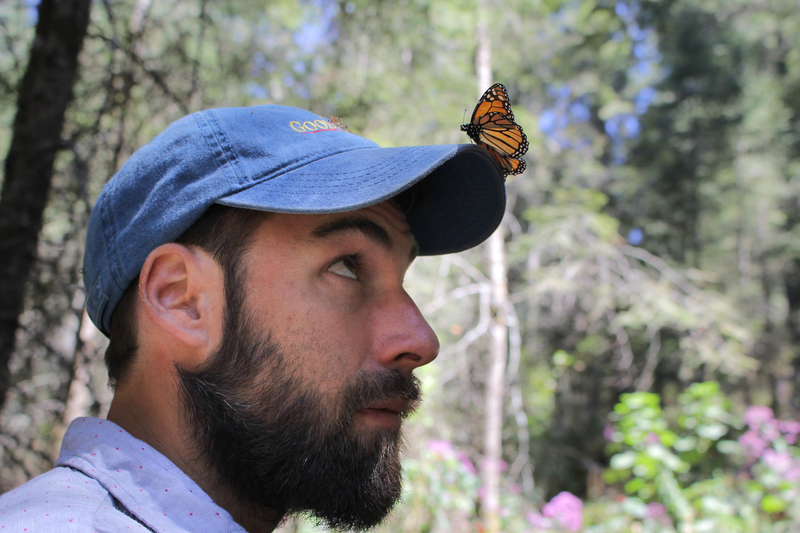 Now, Fred held in the palm of his hand the answer to his boyhood question and definitive proof of the monarch butterflies’ remarkable migration. We left our boat near Puerto Vallarta and headed inland by car to the Monarch Butterfly Biosphere Reserve, a UNESCO World Heritage Site, which protects 56,259 hectares of forest. To reach the Cerro Pelón grove, some 2,700 metres above sea level, is a two-hour, dust-choked hike with over 300 metres of elevation gain. The altitude, combined with the dust and the scent of pine, made for a heady experience. Even the light seemed to trickle like sap, spilling through the canopy and pooling on the forest floor. As we gained elevation, we stopped more frequently. On one of these breaks, I caught the first flicker of orange out of the corner of my eye. As we continued to climb, butterflies began to appear in waves — half a dozen, a dozen, two dozen — stoking our anticipation until we ascended the last ridge at noon and entered a clearing. There, we saw hundreds of monarchs cresting the summit, their wings ablaze in the midday sun. Following a narrow ridge trail into a steep valley, we looked down to see the epicentre of the grove, a group of 20 or so firs, animated by the wings of thousands of butterflies clinging to their branches. There was a total hush, nothing but the flutter of butterfly wings punctuated every so often by the tentative clicking of tourist cameras behind us. The reverential silence reminded me of a story I’d overheard a guide tell a tour group: that the local people had long believed the monarchs to be the spirits of their deceased ancestors, returning year after year, their mysterious apparition often coinciding with the Day of the Dead. As the forest absorbed the heat of the day, the monarchs became energized, rising from their roost into the afternoon sun in a single flaming mass. Below, the forest floor was littered with the ashen remains of monarchs who’d completed their migratory rite. I had the sense of a concentric narrative, one which encompassed our own human movements and motives. Our trip, like the monarch migration, had many beginnings and endings, which it now seemed were just revolutions in the same cycle. The restless butterflies would soon embark on their journey north. Perhaps next summer, back in Canada, we would see one of their descendants alighting on a milkweed plant. 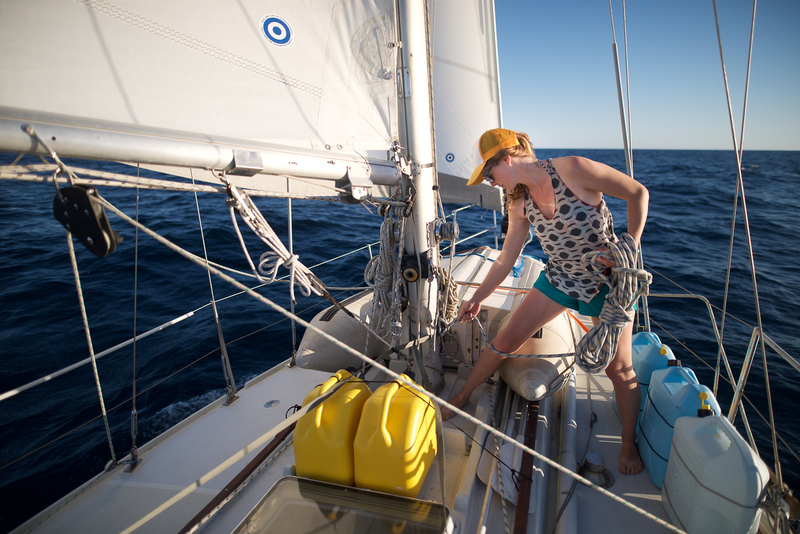 Fiona McGlynn recently sailed from Canada to Mexico to Australia in a 35-foot boat with her husband Robin, and now calls the North home. She writes from her cabin in Atlin, B.C., on the Yukon border and runs a sailing website, WaterborneMag.com.